KIPP New Jersey | Why KIPP New Jersey? 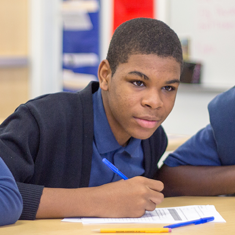 Why Choose a KIPP New Jersey School? 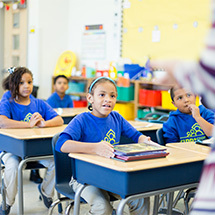 KIPP New Jersey is a nonprofit organization that operates a network of public charter schools in Newark and Camden that center on empowering students to succeed both in their academics and in life. We focus on the needs of our students and build strong foundations that will empower them from elementary school all the way through college. Click here for tips on choosing the right school for your child. 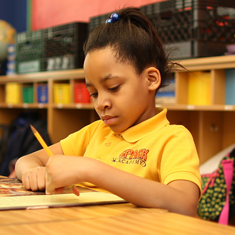 KIPP students outperform the district and perform similarly to state test averages every year. This past year, 92% of our students stayed with us. We have one of the lowest mobility rates in Newark. In 2015, 75% of our eighth-grade students went on to college. KIPP New Jersey students are 4 times more likely to graduate college than their low-income peers. 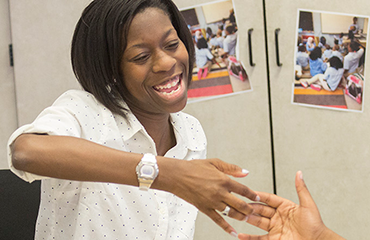 Our dedicated KIPP Through College team will support them even after they’ve left our hallways. 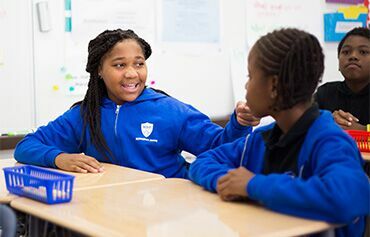 KIPP schools offer legendary academic support teams that track student data and progress so that teachers can know exactly how to target education for student success. We choose top-notch teachers who want to be part of a close-knit, caring community whose sole focus is on the achievement of every student. 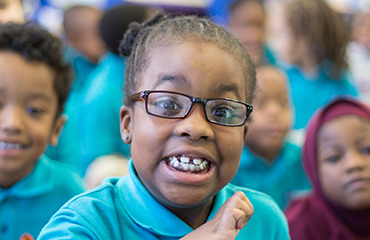 KIPP schools have clearly defined and measurable high expectations for academic achievement and conduct in order to create and reinforce a culture of achievement and support. We know that every student is different and we personalize learning based on a student’s needs, skills, and interests. Students need physical and emotional safety to take risks and learn from their successes and mistakes. Our schools provide a safe, structured and nurturing environment with minimal distractions and more time for both academics and extracurriculars, so our students love school and maximize learning. Great schools require great teachers and school leaders, and of course, great students. At KIPP New Jersey, we empower our educators to lead school teams, and we invest in ongoing training to help them grow as professionals. Our counselors and advisors support students as they prepare for and select the right college and career for their needs. 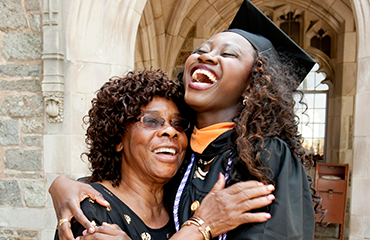 After high school, we help KIPP alumni navigate college's social, academic and financial challenges. 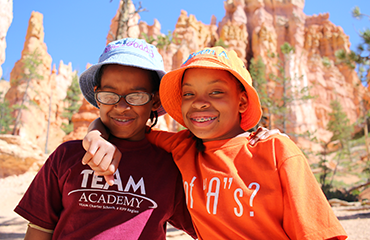 KIPP NJ is dedicated to empowering students to become the leaders of tomorrow, both in the classroom and out. 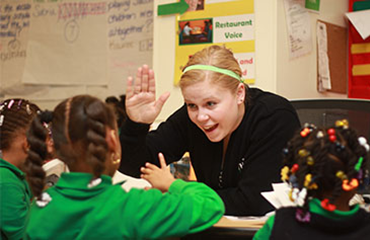 Our students become role models to their peers and in their communities, and gain the confidence they need to succeed to and through college and beyond. 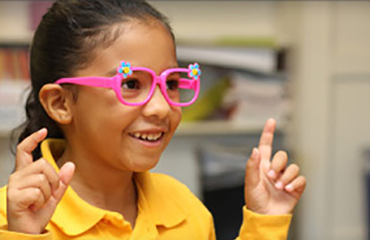 Every KIPP NJ charter school focuses on building character through leadership, self confidence and advocacy skills. Our character-building programs are as diverse as the communities we serve, and give students the freedom they need to grow. 100% of KIPP NJ employees agree we have the best kids in the nation and we make sure they know just how great they are. Our arts, sports, technology and other extracurricular programs help students build confidence by exploring different interests and gaining a whole community of cheerleaders. Ingenuity and creativity are essential components of the KIPP NJ charter school experience. We encourage our students to think outside the box, view the world critically and come up with their own ideas for tackling challenges inside the classroom, their communities and beyond. "KIPP NJ schools are community schools with teachers that care about the whole family. I send my child here because I want him to have the best education possible." "I wanted a safe environment and proven results for my child. KIPP NJ schools provide both." “There is a huge difference in the type of education she’s getting compared to what my children got when they were in school. These kids are brilliant and KIPP is bringing that out in them." "This school gave my child a voice. They let him know he is no different than any other student and that he will achieve greatness."